This statistic shows the amount of trust of U.S. internet users put into news that their friends and family share on Facebook. During the December 2016 survey, 61 percent of respondents stated that they only trusted news on the social network a little. 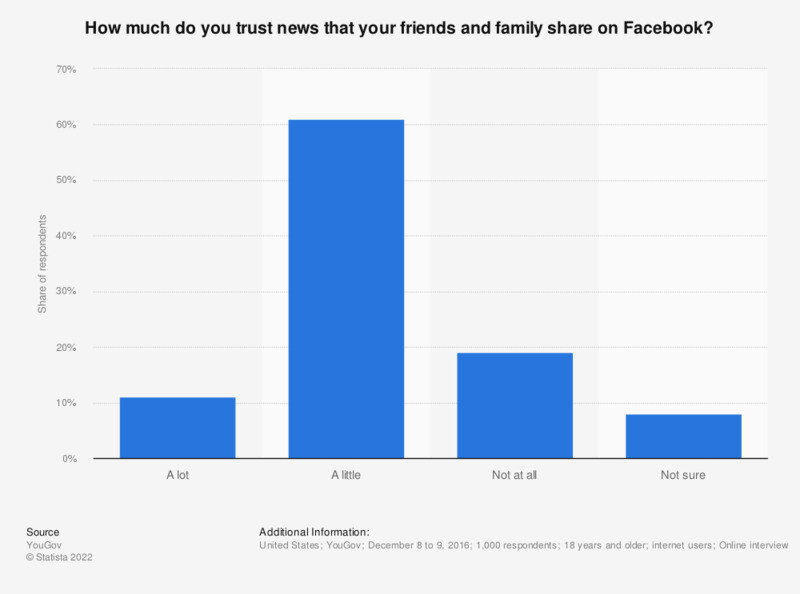 A total of 19 percent of respondents did not trust news posted via Facebook at all.